In just our first few months since launch, ART + ALCHEMY is already garnering acclaim from the design community. We are delighted to announce that our PIVOT PLUG-IN has been named a 2017 FINALIST by Interior Design magazine for the heralded Best Of Year Awards. “Interior Design’s BOY Awards is the design industry’s premiere design awards program, honoring the most significant work of the year” and recognizes designers, architects and manufacturers from around the globe. 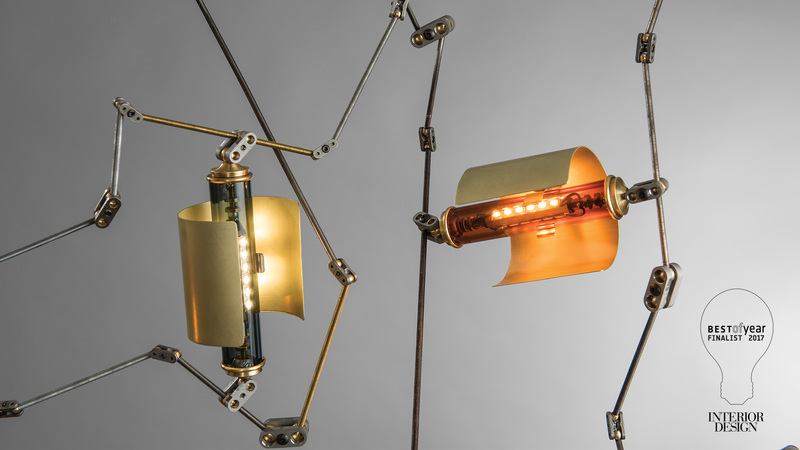 Designed by David Kitts and Andy Morter, the Pivot Plug-In features an articulating assembly of hexagonal bars (either brass rods; or distressed threaded steel rods), bearings and joints that carry current to seven LED lux capacitors. These articulations were originally developed for stop-motion animation. The design allows for a significant range of adjustability, articulation and movement, offering a unique level of customization. Three brass shields are included and can be mounted with any of the glass capsules that contain the LEDs. 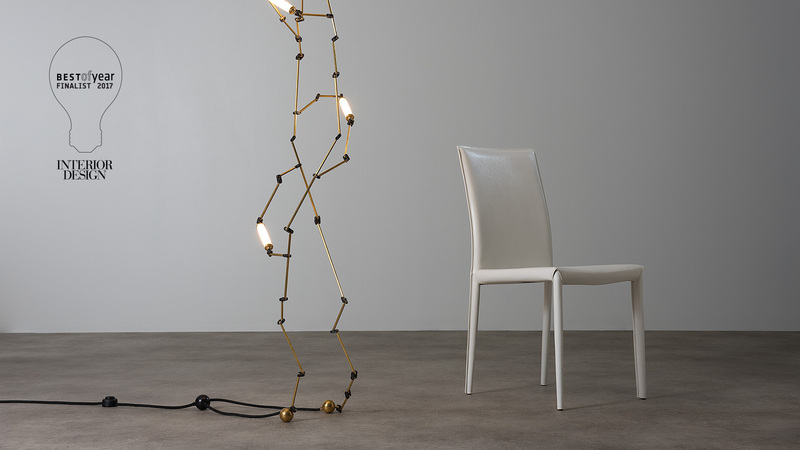 The Brass version features Opal glass; the Steel version features Amber and Smoke glass capsules. 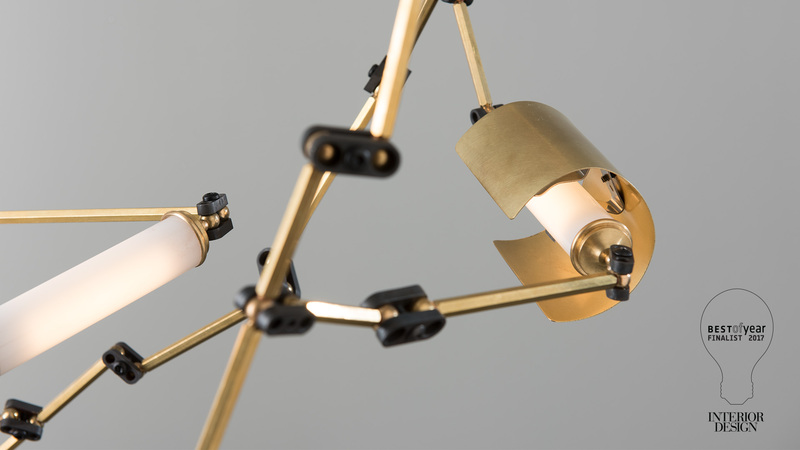 The Pivot is ceiling mountable with a base that rests on two brass balls. The light is turned on/off with a foot switch connected to the 10’ power cord. The Pivot Plug-In is offered in two versions: Waxed Brass + Blackened Steel; or Mixed Steel + Brass.